Working for MI6 / SIS the Secret Intelligence Service does not automatically make you into a "spy". Perhaps Daniel Houghton's computer skills were used as a technician or website developer etc., rather than as an Intelligence Officer, who might analyse or control or participate in foreign spying missions with Covert Human Intelligence Sources or "secret agents" or informers or "intelligence assets" etc. who tried to sell top secret files to foreign agents admitted two offences under the Official Secrets act today. Daniel Houghton, who worked for MI6 between September 2007 and last May, was arrested in a Scotland Yard sting at a central London hotel in March after offering to sell documents to Dutch intelligence agents for £2m. Was the name of this "central London hotel" really not mentioned during any of the Court proceedings ? Which one was it ? Any notoriety will soon become history and will bring in tourists. Why did an MI6 employee have access to MI5 files ? What happened to "air gaps" or "data minimisation" etc ? and a list of his former colleagues with their home addresses and mobile phone numbers. Not just a copy of an internal email / office / job title directory then, but home addresses and mobile phone numbers. . This really could have put their lives at risk of harassment or even physical danger. Did the "Dutch intelligence agents" get their hands on some or all of this sensitive data ? Can they really be trusted ? At the very least all the mobile phones listed should have been changed. They should not just have changed the numbers or SIM cards, but also the mobile phone handsets as well, since the handsets supposedly unique International Mobile Equipment Identifiers can be so easily cross referenced with any Call Data Records made by the MI5 and MI6 people using the old phone numbers. Presumably that should read the "Royal Courts of Justice". 25-year-old Houghton denied a count of theft but admitted two charges of unlawful disclosure of material relating to security or intelligence contrary to the Official Secrets act. The MI5 documents concerned specialist techniques developed by spies for gathering intelligence. MI5 cannot claim exclusive copyright on such techniques, which they may have borrowed or stolen from someone else in the first place. Houghton burned many of the files onto DVDs and CDs on his office computer before taking them home. Provided that the Netherlands government does not revoke his citizenship first, the British government would not be making him stateless, by depriving him of his British citizenship, which they are not allowed to do. (2) The Secretary of State may by order deprive a person of a citizenship status if the Secretary of State is satisfied that deprivation is conducive to the public good." approached the Netherlands intelligence security and intelligence service offering to sell information in August 2009. N.B. an SSL/TLS encrypted website only ! When will MI5 and MI6 and GCHQ move to this ? (hint: it actually makes tracking visitors a bit easier) . A meeting was arranged for 18 February 2010 but, unknown to Houghton, the Dutch had tipped off MI5. Houghton was secretly videoed and bugged as he used a memory card and laptop computer to show his wares to the Dutch agents. The former spy said he would throw in two lists containing details of MI6 employees he had worked with. One contained more than 300 names, while the second had the home addresses and mobile phone numbers of 39 agents. 300 names does sound like an internal email distribution list. 39 names are probably his former work mates and friends who he was willing to betray. How long before mischief making fake disinformation claiming to be these alleged lists of names of MI5 or MI6 employees, gets published by WikiLleaks.org or cryptome.org or by various conspiracy theory websites ? After Houghton's initial offer to sell the information for £2m, the price was negotiated down to £900,000 and, in a subsequent phone call, a meeting was set for the handover two weeks later. During negotiations, he revealed he had a second memory card, containing further information, hidden at his mother's home in Devon. This card has never been found. Why did he put his mother and family at risk in this way ? Many people would have tortured and killed them all for far less than £900,000, in order to get hold of that memory card. There has been no mention of encrypted files in any of the reports on this case - why did Daniel Houghton not bother to use anything like PGP or TrueCrypt ? Why did he not arrange to use a Dead Letter Drop or even a courier service ? What about electronic funds transfers to foreign bank accounts in tax havens ? On 1 March, Houghton handed over two memory cards and a computer hard drive after displaying the contents on a laptop. As he left the London hotel carrying the suitcase, he was arrested by plain clothes officers from Scotland Yard's specialist operations wing after a brief struggle. Why exactly did the idiot agree to any meetings in London ? When Houghton handed over the information to supposed Dutch spies, he claimed he had given them "everything". But officers from Scotland Yard's specialist operations unit found hard copies of classified paperwork, some marked top secret or secret, while searching his shared rented flat in Hoxton, east London. Another wannabe spy or whistleblower who had paper copies of secret or top secret documents at home ! Why did he not digitally photograph or scan them and then strongly encrypt the files and then destroy the paper copies ? They also discovered a Sony memory card containing about 7,000 files, some of them deleted, thought to be copies of a list of MI6 agents and the files he tried to sell. b) Many flash memory cards have WIndows FAT filing systems on them, for which there are plenty of "recover deleted photo images" programs available. c) Their Wear Leveling algorithms which spread used flash memory locations relatively evenly, because at some point flash memory cells become permanently burned into a logical one or zero state, unlike magnetic recording media. See the section on CD-ROMs and DVDs and USB flash memory media our Hints and Tips for Whistleblowers - Technical Hints and Tips for protecting the anonymity of sources for Whistleblowers, Investigative Journalists, Campaign Activists and Political Bloggers etc. Maybe the "etc." should include "wannabe spies" - although we suspect that such people will never bother to read it. Some of the documents held by him have yet to be traced, and security service officials have warned that unauthorised disclosure of the material could have a significant impact on operations to protect Britain. Houghton is also said to hold potentially valuable experience of security techniques in his memory. So what ? Most readers of Spy Blog probably know much more dangerous stuff than the incompetent Daniel Houghton ! Is The Guardian advocating the abuse of some sort of Orwellian Labour party style "thought crime" offence like the catch all Terrorism Act 2000 section 58 Collection of information ? Piers Arnold, prosecuting, told the judge, Mr Justice Bean, that the pleas entered today were acceptable to the prosecution. He asked for the theft matter to be adjourned until after Houghton had been sentenced "with the prosecution's intention to offer no evidence in respect of that charge". Presumably they had little or no evidence of actual physical theft of memory device or hard disks etc. Unless the hard copies of the secret or top secret documents were originals rather than photocopies or computer printouts, then proving an offence under the Theft Act 1968 section 1 would have been difficult. Surely the Government's lawyers must have known that they cannot use the Theft Act 1968 section 1 for "intellectual property" or "trade secrets" or even "national security secrets" since its wording demands the permanent deprivation of something physical. Houghton claimed his actions were "directed by voices" and the defence has submitted psychiatric reports in mitigation. Police sources said Houghton appeared to have been motivated by greed. One senior source said he was living a "champagne lifestyle on ginger beer wages". The prosecution is to obtain its own independent report ahead of sentencing at the Old Bailey on 3 September, although Bean warned that custody was "inevitable". The Official Secrets Act 1989 section 10 Penalties lists a maximum penalty of up to 2 years in prison and / or a fine for each,of the two Section 1 offences that Houghton has plead guilty to. Technically he could be sentenced to 4 years in prison, if the sentences were made to run consecutively. We suspect that he will not spend that long in prison - remember that it costs the taxpayer about £35,000 a year on average to keep someone in prison, probably more, if Houghton is put into a maximum security Category A prison. Daniel Houghton "also accused of unlawfully disclosing lists of intelligence staff" - MI5 and / or MI6 ? 20.00 to 21.15 into the 30.55 broadcast. "The 25 year old is charged with stealing highly classified electronic files, containing intelligence gathering techniques belonging to MI5, the domestic Security Service. He allegedly acquired them while working for MI6, the Secret Intelligence Service, between September 2007 and May 2009. It's claimed he tried to sell the files, but was caught in an undercover operation at a London hotel on March 1st this year, involving officers from the intelligence services and Scotland Yard. Today at the City of Westminster Magistrates' Court, he was also accused of unlawfully disclosing lists of intelligence staff, containing sensitive personal details. Wearing a jacket and open necked shirt, Daniel Houghton said nothing during the short hearing and gave no indication, as to whether he intends to plead guilty or not guilty. He was remanded in custody and will next appear at a preliminary hearing at the Old Bailey on April 29th." See also the BBC report Former MI6 man sent for Old Bailey trial, which is a slightly misleading headline, as a Preliminary Hearing is not the same as a full Trial at the Old Bailey. It is not clear from Andy Tighe's BBC report if the " lists of intelligence staff, containing sensitive personal detail" were from MI5 the Security Service or MI6 the Secret Intelligence Service, or from both, or from other agencies as well. See the Spy Blog category archive Wannabe Spies. The importance of this case involves the bogus claims by Labour Ministers, that somehow the all of the insider staff who have access to, for example, the National Identity Register or the NHS Summary Care Record databases etc., will somehow have better personnel vetting and technological security measures than MI5 and MI6. If these intelligence agencies cannot protect the "sensitive personal details" of their own staff from being smuggled out of their supposedly high security buildings and computer systems, then why should the general public believe Labour politicians and Whitehall mandarins, when they pretend to be able to protect the "sensitive personal details" of everyone in the whole country ? Daniel Houghton - neither the prosecution nor the defence lawyers have sufficient security clearance, even for a bail hearing ? Neither the Defence nor the Prosecution lawyers have sufficient security clearance ! The Magistrates Court bail hearing hearing is adjourned until Thursday 25th March 2010. A FORMER MI6 spy charged with trying to sell top secret files to a foreign country has not been able to brief his lawyers because they do not have security clearance to speak to him. Daniel Houghton, whose family live in Holne, near Ashburton, Devon, and who studied graphic design in Exeter, remains in custody and cannot apply for bail until lawyers are given clearance. Houghton, 25, is accused of attempting to sell confidential electronic files, including memory sticks and a laptop hard drive detailing MI5's intelligence-gathering techniques. However, his lawyers and the legal team prosecuting him, found they would be in breach of the Official Secrets Act and could be charged with breaking the law themselves if they went ahead with the case. Previous Official Secrets Act trials have not needed specially cleared defence and prosecution lawyers. Surely a Judge can be trusted to decide what secret evidence to include or exclude from an Official Secrets trial ? Prosecutions under the Official Secrets Act need the consent of the Attorney General, so has she changed the rules, without any Parliamentary scrutiny or debate ? "security cleared" lawyers are not necessary for the more serious charge (with a longer potential prison sentence) against Daniel Houghton under the Theft Act. Piers Arnold, prosecuting, outlined the dilemma during a brief hearing at City of Westminster Magistrates' Court. He said: "What the joint proposal is today is that the matter be put off for a period of two weeks with a view to carrying out the relevant security clearance procedures for the defence so they are in a position to take full and mindful instructions from their client." Michael O'Kane, defending, said: "In order to get instructions from Mr Houghton with a view to ascertaining whether a full bail application can be made, we would be falling foul of the Official Secrets Act and exposing him to further offences as well as ourselves." District Judge Timothy Workman adjourned the case until Thursday March 25, when a bail application is expected to be made. 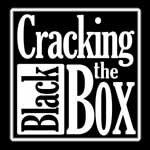 How can the defence lawyers be prosecuted under the Official Secrets Act, when their conversations with their client are supposedly Legally Privileged ? Why do the lawyers, on either side, need full access to all the secret information allegedly being sold, simply for a bail hearing ? Who will security vet the Judge in the case ? "security vetting", is obviously no guarantee of any sort, since many other accused spies in the past have had a very high "security clearance", which proved to be worthless. There is no legal basis, under the Official Secrets Act 1989, for any exemptions from prosecution for anybody, even if they actually do have a "security clearance", something which is not mentioned at all in the wording of the Act. There is still no mention of why Houghton is not being prosecuted under the Terrorism Act section 58. There is still no mention of which country's intelligence agency Houghton is accused of thinking that he was selling the top secrets to. 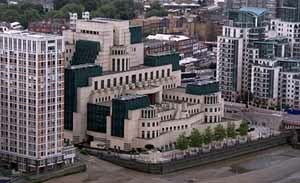 A former MI6 spy has been accused of trying to sell "top secret" intelligence files to a foreign government for £2m. Daniel Houghton, 25, was caught in a sting operation after allegedly approaching a foreign intelligence agency offering to sell them information he had collected while working for the Secret Intelligence Service, known as MI6. The files, which belonged to the domestic security service MI5, allegedly related to the capabilities of the security and intelligence services and the techniques they have developed to gather intelligence, sources said, and were labeled "top secret" and "secret." Houghton, who worked for MI6 between September 2007 and May 2009, allegedly telephoned the foreign intelligence service three months after leaving MI6 to try and arrange a deal. He telephoned a "foreign intelligence service" and expected not to alert the UK counter-intelligence units ?? But undercover MI5 officers, known as "spy catchers", met him in February to view the material on his laptop and allegedly negotiated a price of £900,000, while recording the meeting with hidden listening devices. If the alleged "top secret" documents really deserved that level of classification, then some people and organisations would be willing to pay much more than that. Houghton allegedly told them he had downloaded the information onto a number of CDs and DVD disks which he then copied onto a secure digital memory card of the type used in cameras. He also allegedly told the undercover MI5 officers that he had copied material onto a second memory card which he had hidden at his mother's home in Devon. They arranged to meet him again at a central London hotel where he allegedly showed them the material on a laptop and then handed over two memory cards and a computer hard drive. Sources said he was allowed to leave the hotel room with £900,000 in a suitcase before he was arrested as he waited for a hotel lift by plain clothes officers from the Metropolitan Police Counter Terrorism Command. It is understood Houghton told them: "You've got the wrong man." Police have conducted a series of raids since the arrest on Monday at Houghton's shared flat in Hoxton, east London and at his mother's home, a farm house in Holne, near Newton Abbot in Devon. They are understood to be looking for any copies of the material he may have downloaded and any other material he may have stolen. Sources said they had found additional hard copies of material marked "top secret," "secret" and "restricted." The two detailed charges he is facing are: Between September 1, 2007 and May 31, 2009 within the jurisdiction of the Central Criminal Court he stole property, namely a number of electronic files containing techniques for intelligence collection, belonging to the British Security Service. Contrary to section 1(1) Theft Act 1968. The other charge is that on March 1, 2010 within the jurisdiction of the Central Criminal Court, being a person who has been a member of the security and intelligence services, without lawful authority he disclosed articles relating to security or intelligence, namely a number of electronic files containing techniques for intelligence collection, which were in his possession by virtue of his position as a former member of the British Secret Intelligence Service. Contrary to section 1(1) Official Secrets Act 1989. Does this imply that the authorities have no proof as to exactly when Houghton is alleged to have stolen the secret and top secret documents and have just bracketed his entire period of employment with MI6 ? This case shows that trusted employees, even of MI6 the Secret Intelligence Service, can use easily concealed USB flash memory devices to smuggle out secret documents from supposedly heavily guarded buildings or computer networks. This should be of interest to other, more honourable and less corrupt whistleblowers - see our Hints and Tips for Whistleblowers Technical Hints and Tips for protecting the anonymity of sources for Whistleblowers, Investigative Journalists, Campaign Activists and Political Bloggers etc. However, this case also shows a lack of professionalism by the wannbe corrupt spy, who seems to have revealed rather too much personal information about himself and his family to his supposed "foreign intelligence agency" customers. Meeting them in person a hotel room in London (rather than in a foreign country), not making use of Dead Letter Drops or encryption and expecting to simply walk away with £900,000 in cash in suitcase (without being robbed or murdered) after handing over the secrets , seems rather arrogant, naive, and obviously illegal. Did Houghton work on a joint MI6 Secret Intelligence Service and MI5 Security Service operation ? if not how did he have access to MI5 secrets when working for MI6 ? Why did he leave the employment of MI6 last year ? At the age of 25, he must have started stealing secrets only a year after leaving the University of Birmingham. Given the six months or more it can take for recruitment and Developed Vetting (DV) security vetting clearance, he must have started stealing secret stuff almost immediately that he had access to it. Born in Holland, Houghton has dual British-Dutch nationality and is fluent in English and Dutch. Educated at Dartmouth Community College in Devon where his family live in nearby Holne, Houghton studied graphic design at Exeter College. Did he hack in to their supposedly secure computer systems from the inside ? We doubt that Daniel Houghton was employed as an "agent" or as a "spy" i.e. a Covert Human Intelligence Source (usually foreign but also within the UK) as the mainstream media headlines claim. Was he employed as an Intelligence Officer or was he employed to work on their Information Technology systems ? Which "foreign intelligence agency" did he think that he was betraying and selling the secrets to ? There really is no good reason for keeping that a secret from the British public. Was he working alone, or did he have accomplices ? Why the Theft Act 1968 but not the Terrorism Act 2000 section 58 Collection of information ? The Official Secrets Act 1989 section 1 (1) carries a penalty(defined in section 10 Penalties of "only" up to 2 years in prison and / or a fine (per offence), is obviously applicable to a former member of MI6. Unless Houghton was stupid enough to steal and to hand over the original CDs, DVDs or the computer hard disk, which physically belonged to his former employer MI6, then how does the Theft Act 1968 apply ? This cannot apply to digital copies of the information or documents - it can only apply to the originals or master copies on physical media or hardware. The theoretical maximum of up to 7 years in prison is for major thefts of property or money. Why is Daniel Houghton not also facing a Terrorism Act 2000 section 58 Collection of information charge, which attracts a penalty of up to 10 years in prison ? Surely "top secret" MI5 "intelligence gathering techniques" is obviously "information of a kind likely to be useful to a person committing or preparing an act of terrorism" ? This is a catch all offence which does not require proof of any actual terroristic intent, only knowledge of the fact of its potential usefulness to terrorists. These documents, if accurately reported above, would be much more useful to terrorists, than the stuff which several people are in currently in prison for, which they downloaded from the internet. It is also worth questioning why the authorities seem to have anonymously briefed Duncan Gardham, the Security Correspondent of the Daily Telegraph in so much detail ? This report (and our blog analysis of it) comes before any media reporting restrictions have been ordered, as Daniel Houghton is not yet facing trial by jury. This seems to be a feature of recent national security trials - the accused is found guilty in the mainstream media, well before he faces an Judge and Jury, on the basis of anonymous leaks from nameless Whitehall bureaucrats, given to selected, favoured mainstream media journalists. N.B. if the UK Government or legal system authorities want bloggers not to comment on a trial in progress, then they will have to inform us directly via email or through a comment posting, or through a prominent online public announcement that there are actually reporting restrictions in place and the details of exactly what they cover. We are reasonably intelligent, but not psychic. Those of you taking an interest in this, or similar cases, should download and save your own copies of any relevant newspaper or blog articles to your own (secure and encrypted ?) computer systems, since the online versions could easily be be censored through secret injunctions or takedown notices, or just the threat of expensive legal action. Why do the Daily Mail's online picture editors keep mis-identifying images of the Secret Intelligence Service (MI6) headquarters building at Vauxhall Cross, at the corner of Vauxhall Bridge and the Albert Embankment, on the South side of the river Thames in London, with that of the Security Service (MI5) ? The latter is at Thames House, on the North side of the River Thames, at the corner of Lambeth Bridge and Victoria Embankment, near to the Houses of Parliament. 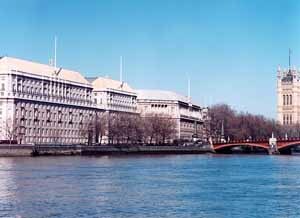 See the official gallery of images of Thames House on the Security Service MI5 website. 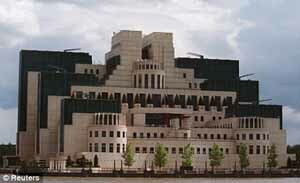 Both buildings are completely different visually, but, in recent months, the Daily Mail has now twice mis-identified the Secret Intelligence Service (SIS / MI6) building at Vauxhall Cross as being the Security Service MI5 headquarters. 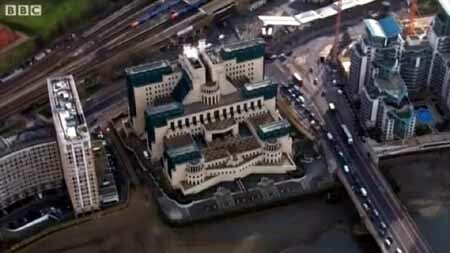 MI5 headquarters - above scrutiny? Keywords : LONDON BUILDINGS, LONDON SKYLINES, MI5. Caption-Abstract : picture NICK SKINNER.London views taken from roof of Millbank Tower..MI5 headquarters. This metadata captioning also mis-identifies the building, but that really is no excuse for a London based mainstream media organisation, which regularly publishes articles about these two intelligence agencies. Obviously, we did try to leave a Comment on the Daily Mail blog style website, back in July, simply pointing out the error, but, as many other people have found, the comment moderation / censorship, which appears to have been sub-contacted out to a third party company, is insultingly useless, and there are no comments displayed at all. The Associated Newspapers management need to sort this out, because it is damaging the online reputation of the Daily Mail brand.